Unicheck had a great pleasure to participate in Educational Technology Summit on March 4th, 2017. This time it was held in a sunny Turkey and organized by the Managing and Advisory Board. This Summit is aimed at bringing educators, managers, and other educational representatives together to share new, innovative ideas about technological trends in education. The conference started with an astonishing performance of illusionists that vowed the audience. The limitless access to various treats stirred liveliness. Educators, teachers and students vividly discussed current tendencies in education such as e-learning and educational robots. 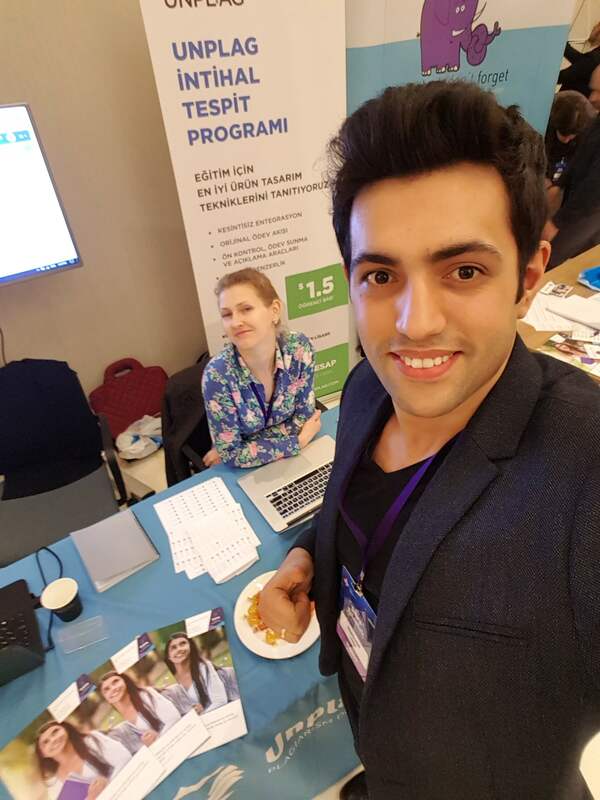 Anastasiia Parokha, Unicheck CEO, and Jess Okan Soyturk, Unicheck Regional Manager, presented our product at the Summit and gladly responded to questions, so that university representatives could understand better how the system works and what way it differs from other market leaders. We were lucky to broaden our network by getting acquainted with many educators from K-12 schools and universities like Bahcesehir University, Anadolu University, Enka Schools, Notre Dame de Sion College, FMV ISIK Schools, Atatürk University and many more. Some of them became interested in our plagiarism checker and found it really useful and multifunctional. Our team is planning to visit this annual summit next year and bring our new outstanding development. Learning from international experience is always exciting as you get many ideas to think over and a new outlook on a variety of educational issues and technology integration in it.